DEAL: "Medical Student Loans: A Comprehensive Guide" eBook - FREE — Future Proof M.D. 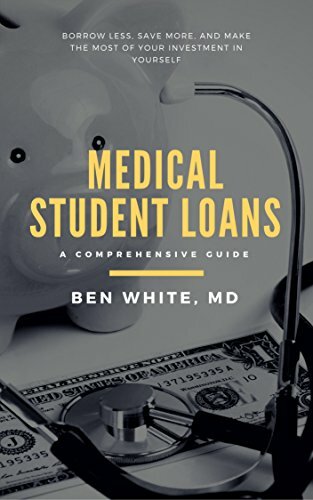 Medical Student Loans: A Comprehensive Guide is the latest eBook by author and blogger Ben White. The book offers a thorough and comprehensive resource for all you medical grads living in debt-land. From now until June 25, 2017, you can get it for the grand price of FREE! On a more personal note, I first discovered Ben's site during my search for study resources during my Radiology board prep. His series of posts on the Core Exam was immensely helpful. So even though we've never met in person, I think of him as a mentor in Radiology.